I used the 5" pattern, there are are also 10" and 15" patterns. I made the cushion back with a flap to cover the zipper for the first time. It is was very easy. The only thing I would do differently is make sure my bobbin thread was the right colour before I sewed the flap down... 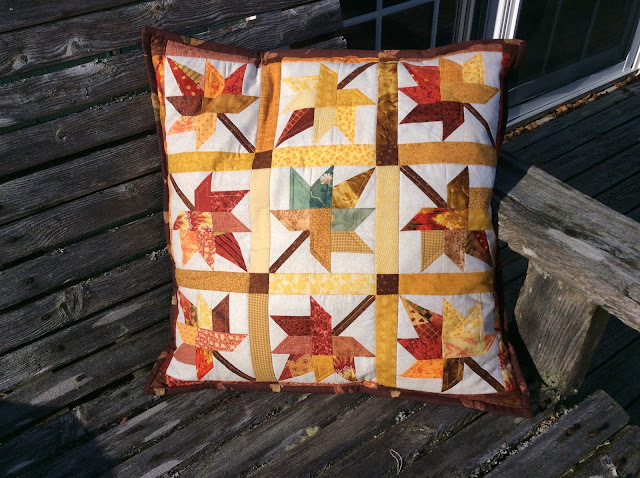 I then bound the cushion just like a quilt with the same fabric as the backing. 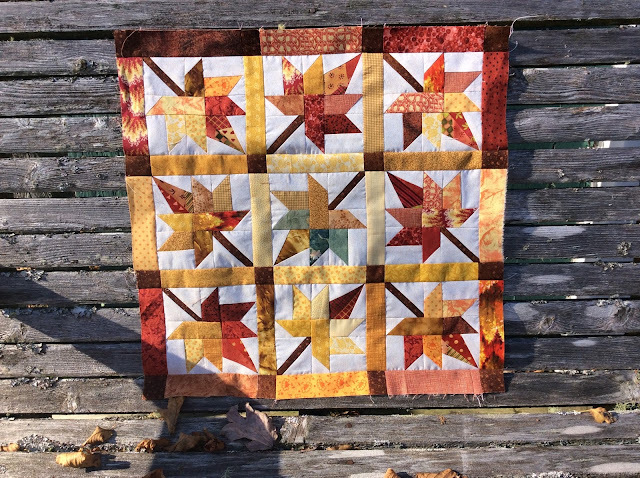 Thanks to my friend Marilyn for the backing fabric. There was an auction while we were at the Pictou Retreat and Marilyn bid on a bundle of mostly neutral fabrics and got it. She gifted me with the brown leaf fabric as it wasn't to her taste. Thank you Marilyn! 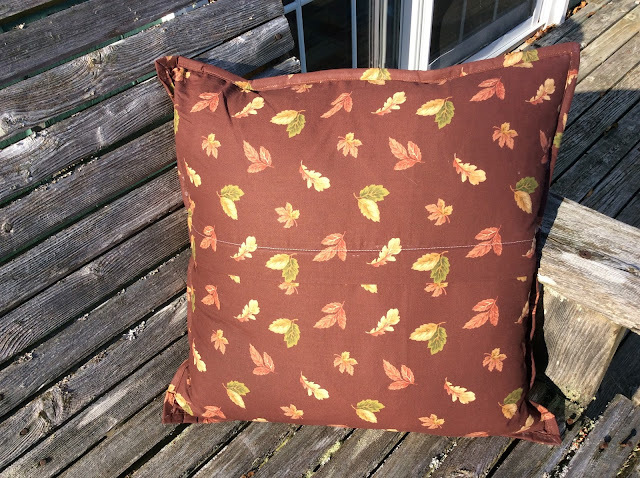 You've created the perfect pillow for the season. Well done! !